I am new here and I want to say hello to everyone. Sit back, relax, and revel in the insanity. One small bit of advice for you - don't use multiple exclamation marks on this board if you wish to live. I don't mind, but Zeke can be kind of.... touchy. Mmm. And be careful what you do with acronyms where the 'T' means "the" as well. Sometime on the weekends, maybe you could stop by our weekend chat? We hold it on my site, as it is The PHP/JS Chat! You can also read all about it at The Reference Guide! Click here to view the chat in progress! Welcome to the forums, zettwalls -- unless you're a spambot. 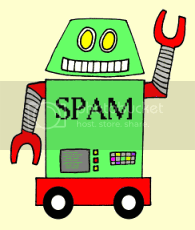 You're not a spambot, right? has any bot visited us lately? Welcome! Also, mind the tea-stains. Some of those go on for light-years.